Feel safe at night with the The Sawyers watching over you! 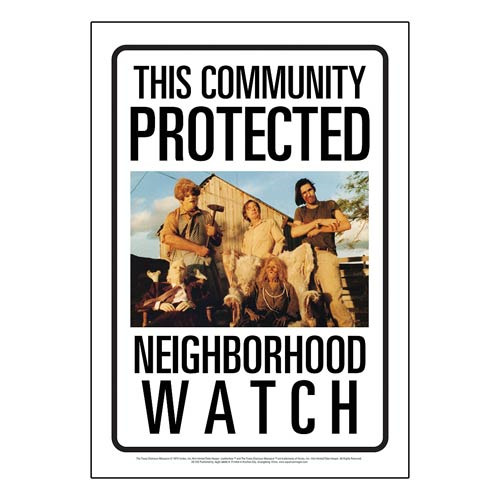 The Texas Chainsaw Massacre Community Watch Tin Sign measures approximately 8-inches x 11 1/2-inches. Ages 17 and up.